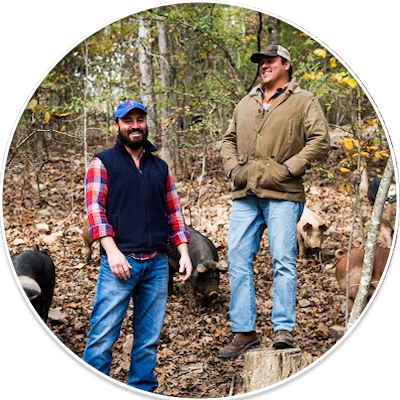 Chris, James and Jenna discuss how Porter Road is radically improving the meat industry by controlling the entire supply chain, setting and upholding strict quality standards, and revitalizing the sense of community of your local butcher shop. We chat about how to respond when life throws you curveballs, the importance of waking up every day with the intention of challenging yourself and striving to improve the world, and our duty to inspire and uplift each other doing so. Throughout our chat, we walk (and laugh) through many of the wild experiences Chris and James have shared, from a friendship that began being chased by a wild pig to hitting 70 MPH in an old Bob Evans truck as they watched their tire roll past them, and much more.